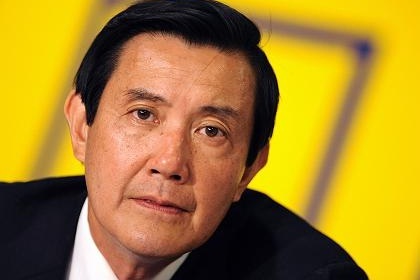 According to a report published in Next Magazine, agents of the Ministry of Justice Investigation Bureau (MJIB) carried out intelligence-gathering operations against an opposition party and passed their reports to President Ma Ying-jeou via the secretary-general of the National Security Council (NSC). Due to the severity of these allegations, the International Committee for Fair Elections in Taiwan (ICFET) expresses its grave concern, and we call for an independent, impartial, and thorough investigation. The Presidential Office has denied ordering the MJIB to carry out such intelligence-gathering operations. The MJIB has also stated that all of their related activities were done for the protection of the security of candidates. However, one of the documents obtained by Next Magazine is a table of items to be investigated, including not only schedules and meetings, but also estimated impacts in vote counts. Until now, the agencies involved have not denied the veracity of this document, nor explained how such information is related to ensuring the security of candidates. Taiwan is a country with the rule of law, and the actions of members of the intelligence services are regulated by law. President Ma, at his inauguration, solemnly pledged to the people that under his administration intelligence personnel will not carry out domestic intelligence-gathering or political monitoring. Indeed, it is a basic rule of the game for all democratic countries that the intelligence services must not be involved in domestic politics. If the allegations in the Next report are true, then the Ma Administration has not only violated the law, as well as Ma’s personal promises, but also the basic norms of democracy. Forty years ago, US President Richard Nixon’s campaign employed former intelligence agents to wiretap Democratic Party figures, and subsequently lied about this to the American people, leading to Nixon’s resignation. The lesson for all democracies was clear: such activities are illegal, and top leaders who tolerate them or try to cover them up must be held responsible. Last month, the Yu Chang/TaiMed case involved an apparent altering of documents by a top government official in order to magnify a smear against the opposition candidate, which also involved possible violations of the law. Together, these events have generated concern among many international friends of Taiwan, as well as doubts about the fairness of Taiwan’s elections. Due to the severity of the allegations raised by Next Magazine, and the fact that many aspects of the case still require clarification, ICFET calls upon the Ma Administration, in order to clear its name, to immediately order an investigation by the Special Investigation Division (SID) of the Supreme Prosecutors Office. In particular, the SID must swiftly seize all related evidence and documents from all involved agencies. In addition, President Ma should invite representatives of all major political parties and members of the Legislative Yuan to form an independent investigative committee, which can review the evidence impartially. This committee should present a public report within 10 days. If the allegations are found to be false, the reputation of the Ma Administration will be cleared. If they are found to be true, we remind President Ma of his previous pledge to withdraw his candidacy if he abused state power to manipulate the election. New Delhi: The Bill ultimately presented in the Parliament by the UPA government is not just disappointing but insulting for the people and their representatives with the turbulence within parties and the role of the people vis-a-vis Parliament. Whom does it try to protect, is also a big question ? Appraising the details of the Lokpal Authority proposed, any sensible and sensitive person or organisation would surely assert, it's protecting the government, those in power, the politicians and not the people. It may better be termed Shasakpal and not Lokpal. The ultimate result of the intense dialogues to wider national debate on the issue has not only led to an empowerment of people but to clarifying the role and status of the electorate vis-a-vis the elected. It's obvious that a large percentage of the “We the People of India” have supported the People's Bill, 'Janlokpal' - proposing an independent multi-layered, comprehensive authority to deal with the corrupt, complaints against them and mitigate corruption. The Lokpal Bill on the other hand, is left with a body, which neither has the power for investigation into serious complaints nor for grievance redressal and compliance, hence of little or no strength. Dissecting the 'Lokpal' into three or four separate Bill – Citizen's Charter and Grievance redressal Bill, Judicial Standards and Accountability Bill and Whistleblower Protection Bill is not to make it 'Constitutional' but rather 'Compartmental' to the extent of making it ineffective. Keeping the present structure of CBI, CVC, Police intact and out of the preview of the Anti Corruption Authority, united through multiple levels as in Janlokpa Bill, devoid of political (government) intervention but at the same time within the constitutional framework, inspite of some strengthening is avoiding any radical and yet reasonable solution. Why can't corruption behind non-redressal of grievances be dealt with under Lokpal through Public Grievances Redressal Officer – to Judicial Officers – to Lokpal ? Why can't C and D (wherever it exists even after Sixth pay Commission) categories of Employees be brought under Lokpal for the Central Government and Lokayukta for States. Why can't corruption cases under CBI be under Lokpal with administrative Control even for Investigation ? Why should the corrupt Justices, supposed to be protectors and defenders of justice be out ? Why can't MPs be in, when they are corrupt, beyond their right to expression. There are no clear and rational answers to any of these questions? No doubt, whatever has happened is more due to the people's wish expressed through their people's movements than the political will; which was lacking over 48 years ! However, every time, as in the case of women's reservation Bill, the finalisation is getting postponed under some pretext. Whether it's making Lokpal a Constitutional Authority or reservations in Lokpal Committee members or staff, we need not oppose or question. We are for a just and strong authority. But are all legal and constitutional angles in religion based reservation dealt with ? No. The matter is before Supreme Court and Subjudice. 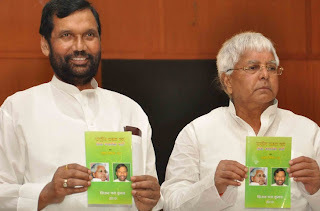 Laloo Prasad Yadav, Ram Vilas Paswan, SP and BSP or any other Party while expecting a vote from Dalits and minorities, may continue to pursue the cause of representation through reservations but atleast meanwhile, should facilitate the Anti-Corruption Act with all Government Employees, including C & D and all corrupt citizens which would be the most pro-dalit, pro-poor and pro-Constitution position. If they are conscious of sanctity of the Constitution, they should be upholding bringing all the citizens including the MPs themselves under the Lokpal Act, following Article 14. Questions raised by BJP at the last moment on the inclusion of the Lokayuktas in States going against the federal structure is not understandable since they should have followed the option of insistence of a strong Act with respect to both Lokpal and Lokayukta but not leave it open unless they too want to permit the State's like Gujarat to go without Lokayukta inspite of tall claims. What worth federalism, if the states are not fulfilling their obligation as regards State subjects such as water and not incorporating the letter and spirit of the enabling Acts like PESA, 1996 till date in their respective state level Panchayati Raj Acts? The extended session of Parliament from 27th - 29th is their last chance to fulfill this expectation on this most serious judgement. People are watching. No party should insult the Parliament resolution, the constitutional mandate. Reading from the abstracts of papers from other participants and guest speakers for this Conference, the idea of 'access to justice', as a theme to improve work on torture prevention and rehabilitation of victims is given strong importance. 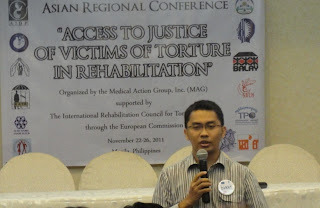 To lay the basic orientation of this paper, I resolved to review first the literature on how this term were originally conceptualized; and, in developing countries in Asia, where all of the participants have enormous experience in terms of torture prevention and rehabilitation, how they operate in reality. A simple Google search on this topic revealed this article from the website of the World Bank, titled "Access to Justice"3, tells us of its origin and also how this was presumably first conceptualized. Here, it claimed the "concept arose in an era of the welfare state and growing rights consciousness" in the 60s; and Italian jurist Mauro Cappelletti contributed in his study that further "popularized the idea of access to justice" in the 70s. Thus, the idea of 'access to justice' is a product of realization by welfare states, usually developed countries with rich resources, of the need to invest resources not only in their territory but to developing countries, to poor countries, to be able to enhance delivery of justice for the poor and the disadvantaged groups. However, while the concept itself reaffirmed the international human rights norms and standards, how it has been understood and how it is applied in developing countries in Asia is problematic. I agree with the observation of Gary Haugen, an American lawyer, that in the last two decades of global human rights movement, the development of norms and standards "has been predicated, consciously or unconsciously, upon assumptions of a functioning public justice system in the developing world. "4 Haugen argued that the development of norms and standards of human rights is on a flawed assumption systems of justice exists and operates in the developing world as it is in the developed world. His observation affirmed what my organization, the AHRC, has been observing for many years. Taking from this observation, it is therefore not an overstatement that this notion of 'access to justice' as it is originally conceived is based on an assumption that a particular 'system of justice' is functioning and operates in Asia as it is understood in the west. The ongoing discourse on 'access to justice', for example in the UK, is related to the State obligation to ensure a fully funded legal aid system. This was spurred by the proposal of Justice Secretary Kenneth Clarke "plans to slash £350m a year from the legal aid budget"5 in November 2010. In the UK's perception of 'access to justice', the protest is more on ensuring its citizens, with the use of government's resources, are able to seek remedies and redress for the grievances from its institutions of justice via legal aid. As shown in this report, the debate focuses on the strong opposition to plans to cut the budget on legal aid but not on the question as to the quality and substance of the legal aid service; nor, is it concerned with the functioning of the UK's justice system. It is assumed as a concern that without publicly funded legal aid, the citizens are either deprived or would be deprived from 'access to justice'. Here, these assumptions are evident: lawyers and the legal practice is credible; that when lawyers invoked, say their client's 'right to remain silent, the police investigators strictly observed; that the prosecutor's, in prosecuting cases that legal aid lawyers are representing, thoroughly examine evidence collected by the police; and once the client's complaints finally reach the court for adjudication, there are independent and competent court judges to decide on the basis of established norms and law. Therefore, it is evident the concept of 'access to justice' in the UK, a developed country, is not difficult to be concluded as consistent with how it was originally conceived; and of the assumption its institution of justice functions and operates in a rule of law system. But this is not the case in countries in Asia. There is a fundamental difference, however, when this concept is applied in the developing countries, particularly in Asia. In the UK the ongoing discourse on the 'access to justice' is no longer concerned with the questions as to how its institutions of justice function, but rather of how its citizens should be given the opportunity to have access to its evidently functioning system. However, in Asian countries the concern is twofold: taking on the legal aid issue, governments not only do not invest adequate resources for legal aid for the poor but also, even if there is a legal air system available it is available only on a limited scale, the operation of its system of justice does not adhere to the notion of rule of law as is understood in developed countries. To argue my point, I take the cases selected below as an example followed by the summary of "the current political and institutional conditions for the combating of torture country-by-country"6. The summary, which completely expressed the observations I had, is not my formulation but that of the AHRC's result of their work on torture. These cases are not at all exceptional in these countries. Jobat: Unnerved by the biting winter cold, the Sardar Sarovar (SSP) and Jobat dam affected adivasi oustees successfully completed three full weeks (21 days) of their indefinite action at the Agricultural and Seed Production Farm, Jobat where they have occupied and been cultivating government-owned land. Except for the Alirajpur District Collector, who has been trying to take forward the rehabilitation process, no responsible official from the Narmada Valley Development Authority (NVDA), Narmada Control Authority (NCA) or the state government has cared to respond till now. It is well-known that there are hundreds of adivasi families affected by both the projects in Alirajpur district and Badwani district (SSP), but none of them have been rehabilitated till date with cultivable and irrigable land as per legal and judicial stipulations. After 2 decades of litigation, dialogue with and agitation before the state and central authorities and utter non-compliance with binding Tribunal Award and Supreme Court’s Judgements, the SSP oustees have resorted to this ‘Zameen Haq Satyagraha’, as a last resort. Fearing earlier High Court’s strictures for violating the ‘right to peaceful agitation’ of the oustees through brutal lathi-charge, the state government has so far not shown the temerity to use force or even any other means to ‘convince’ the oustees to vacate the land. However, the government has not been forthcoming as well. The administration has cut-off power and water supply within the Farm and the people have been living in the dark all through. Lack of electricity was a means for the government to frustrate the attempt of the oustees to cultivate & irrigate the land and destroy the maize and wheat crop. However, the people have innovatively decided to intensify their occupation over the land and have started cultivating native vegetables and greens which require less water. Earlier in the week, the Chief Minister, Mr. Shivraj Singh Chauhan on his visit to Alirajpur told the press that “Law will take its own course. Land would be given where it is available and where it is not, it is ‘legal’ to give cash compensation. This is as per law and judicial orders. People have a right to demonstrate peacefully, but this is certainly not a right approach of the oustees to agitate”. After 15 years of gross neglect, illegal submergence of land, crop loss, dire poverty, hunger, malnourishment, loss of dignity and even death of a generation of elders, seeking cultivable land for years, what else can the oustees do? What other ‘right approach’ do they take up ? Has the CM and the Government complied with law? Is this the treatment that will be meted out to those believe in the legal system? Is this Rule of Law?, we are compelled to ask. Stung by the CM’s response, the oustees, asserted their right to life and right to land on the ‘Human Rights Day, and have decided to intensify their actual occupation and cultivation over the entire expanse of the Seed Farm and also to other locations, wherever cultivable government land is available. The people are always open for a meaningful dialogue and lawful rehabilitation, but can wait no more for the State to deliver by itself. “We, the dam-affected hilly adivasis are living in sub-human conditions since a decade and a half. If this is not a gross atrocity on the adivasis, what else is,” question the women and men, who have also begun igniting their own ‘village choolas’ at the satyagraha site, as a mark of protest against the State for violating their right to food and right to life. They say, “hame kaagaz nahi, pathar nahi, kheti laayak zamin chahiye”. People have clearly decided that they shall not vacate this land, until they are actually provided cultivable, irrigable, suitable and unencroached land, with house plots at developed resettlement sites. Earlier, the oustees took out a death parade of the NVDA through the main streets of Jobat and immolated the effigy to symbolize the fact that the ‘Authority’ is virtually dead, in so far as the displaced persons are concerned. More than a hundred children from the Narmada Jeevanshalas (life-schools) in villages Bhadal, Bhitada, Jalsindhi are also energizing the agitation and have shifted their schools to the satyagraha sthal. As a statutory monitoring body, the Narmada Control Authority has also totally failed in its role and has not taken any initiative till date to expedite the rehabilitation process nor has it issued stern directives to the state government to provide land and house plots to the oustees, as per law. Shockingly, not one official from the NCA has made even a single visit to the submergence areas in the past ten years to assess the serious impact of displacement without rehabilitation that people have been facing. NCA has also not checked the legality and viability of the unilateral land offers made to the oustees, most of which is uncultivable, unirrigable, encroached and hundreds of kms away from the house plots. The NCA has relied entirely on NVDA’s false Action Taken Reports and has reported in its recent Annual Reports that there are no balance families to be rehabilitated. This is absolutely incorrect, illegal and a gross violation of the right to life of hundreds of project-affected families (PAFs). On the other hand, the adamant stance of NVDA on the Land Bank, has once again led to a stalemate. The Supreme Court has directed in no uncertain terms that “oustees must be offered lands which are really cultivable or irrigable, along with basic civil amenities and benefits as specified in the Award”. 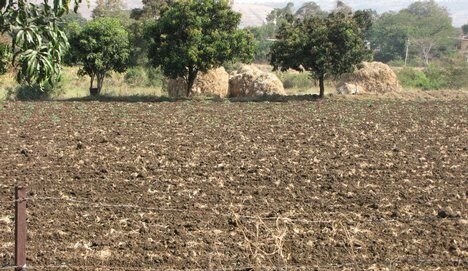 In the background of large-scale refusal by oustees of land from the Land Bank, the Court directed in May 2011 that “The Government must continue to search for additional land than what is already available in the land bank and to find out the means of its purchase for allotment to the oustees. The Government should also ensure that the allocated land is not encroached upon by the unscrupulous persons”. Finally we culminated the Mumbai Save sharmila Solidarity Campaign with " Artists for Irom Sharmila On the Eve Of Human rights Day" This included Flags by 12 Artists from Across India organised by Tushar Joag and Sharmila Samant , Film shows which was organised by clarck House and a pannel discussion in which Mihir and RituDewan Participated . It was Moderated by Zasha Colah . Inspite of Delhi Police had denied the permission for our proposed program of "One day fast for Irom Sharmila", which was scheduled on 10th December, three days before the fast, on the flimsy grounds of "law and order". We tried our best with several follow ups with different levels of police office from local police station to commissioner of police but they refused to co-operate with us. The Government has yet again showed its hard and inhumane approach in dealing with the human rights activists. This also seems to be a clear message that the Government is now in fear of the growing public support for Irom Sharmila. New Delhi: For some months now, Save Sharmila Solidarity Campaign (SSSC) has been spreading the word about Irom Sharmila and her struggle across the nation and beyond. Started only by few organizations, campaign has now received support over more than 80 organizations and movements and thousands of supporters. Campaign has reached in almost every state of India and even outside. Campaign has organized various programs including its famous Nationwide Signature Campaign, Sri Nagar- Imphal Save Sharmila Jan Karwan in October and Ahemdabad- Srinagar Jattha in November this year. With its signature campaign which was launched on 2nd October, the Campaign has tried to spread the movement and awareness in public and gathered support in the form of signatures. On 10th December which is also the International Human Rights Day, the signature campaign was to culminate with a day-long solidarity hunger strike by social activists, majorly the women activists and students and submission of the signatures (in the form of memorandum) to the President of India. However, the Delhi Police denied permission for the fast on flimsy grounds of “law and order”. This is unacceptable in a democratic state. It is clear that the Government fears the growing public support for Irom Sharmila and her cause and is now intent on suppressing our voices. Therefore, the Campaign decided to protest against this unconstitutional and authoritative attitude of the Government. It called for a nation-wide opposition to Government’s refusal to the peaceful fast. People across the country were asked to observe a day-long fast. In Delhi, a prayer meeting was organized at Rajghat, at 9 AM, joined by domestic workers, rights and peace activists, students, teachers, lawyers and many other eminent academicians. This was followed by a press conference at 2 PM, at the Press Club Lawns. At the press conference, many known social activists raised their concerns to save our right to freedom of speech, rights violations and struggle of Irom Sharmila and many others demanding an end to heavy militarisation, withdrawal of AFSPA and restoration of peace and freedom in North East and Jammu and Kashmir. Medha Patkar, Convener, NAPM remarked, “this refusal reveals the fear of the Government. Their intolerance for non-violent protests and dialogue and engagement with people's movements is leading to more violent conflict in the country today. If they fear law and order issues then it is their duty to maintain law and order but not by trampling citizens fundamental right of peaceful gathering and protest”. “The Government has allowed a pro-AFSPA gathering which includes people who are committed to violence, at Jantar Mantar on the same day but they have not allowed us. They have suppressed non-violent democratic voices” told Devika, Volunteer, SSSC. The Campaign plans to strengthen its mass support with more events in the public spaces in coming days. Members of the campaign expressed their concern on this issue and told that non violence should not be ignored. They demanded that jeevan reddy committee report, Moily report and recent kashmir interlocutors reports should be made public and their recommendations implemented after a nationwide public debate on the issue. Campaign is demanding to start steps to resolve the issue of human rights violation through active dialogue between different concerned parties and work on a phase wise demilitarisation strategy. They will soon approach the Home Minister with their demand. They demanded from the government to talk with Irom, to send all party representative committee including rights activists and to send members of NWC and NHRC to examine the cases of violations there and take action on those. They agreed that such draconian laws are making the country weak and there is no place for such laws in democracy. Dec. 5, 2011: Mr. Vo Van Ai, President of the Vietnam Committee on Human Rights and Quê Me: Action for Democracy in Vietnam, wrote to the European Parliament to call on Vietnam to respect human rights and democratic freedoms during their meeting with a high-level delegation from Vietnam visiting the EP today, Monday 5 December 2011. The delegation of 70 people includes the Speaker of the Vietnamese National Assembly Nguyen Sinh Hung, Finance Minister Vuong Dinh Hue and Transport Minister Dinh La Thang. They will meet EP President Jerzy Buzek and hold an inter-parliamentary meeting hosted by the EP Delegation for Relations with ASEAN. “In Vietnam, the ruling Communist Party is reaping the benefits of EU aid, trade and investment whilst failing to respect the human rights obligations enshrined in the EU-Vietnam 1995 Cooperation Agreement”, said Vo Van Ai. He urged MEPs to call for the release of Buddhist dissident Thich Quang Do, Tran Huynh Duy Thuc and other pro-democracy activists, and urged them to ensure that the new EU-Vietnam Cooperation and Partnership Agreement that will be signed next year includes effective mechanisms for monitoring and implementing human rights (full text of the letter below). A high-level Parliamentary and ministerial delegation from Vietnam will visit the European Parliament today. The EU and Vietnam have an important relationship which has enhanced Vietnam’s development in many domains. We are nevertheless concerned that the benefits of EU economic aid and investment are enjoyed first and foremost by the Vietnamese Communist Party which controls the economy, leaving large sections of the Vietnamese population in poverty, and creating serious social inequity. Moreover, despite its binding obligations to respect human rights and democratic freedoms under the 1995 EU-Vietnam Cooperation Agreement (Article 1), Vietnam systematically stifles peaceful criticism, religious and political dissent, and indeed all forms of free expression. 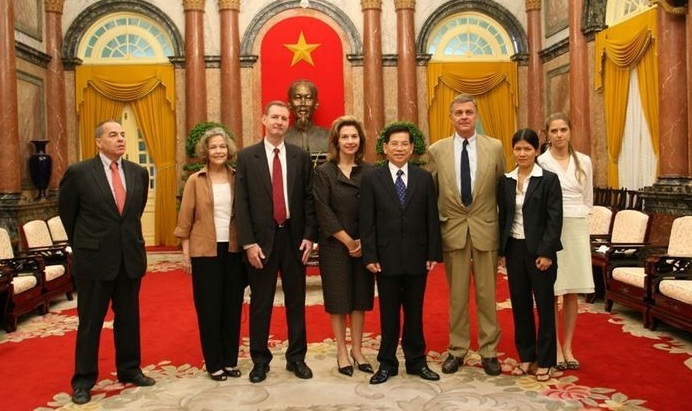 For example, Vietnam receives significant funding from the EU and its member states for legal reforms. Yet instead of using this to bring domestic legislation into line with international human rights laws, it is using EU taxpayers’ money to adopt or reinforce restrictive, anti-human rights legislation. Particularly alarming are vaguely-defined “national security” offences in the Vietnamese Criminal Code, seven of which carry the death penalty, which are routinely invoked to detain dissidents and human rights defenders; Article 4 of the Constitution which enshrines the political monopoly of the Communist Party, thus excluding political pluralism, free trade unions and independent civil society; Ordinance 44 which empowers local officials to detain critics under house arrest or in psychiatric institutions for up to two years without any process of law; Media Decree 2 (2011), which imposes drastic restrictions on journalists, along with an arsenal of decrees curbing Internet freedom and blogs. Religious freedom: Vietnam controls religions and represses all religious bodies that are “not recognized” by the State. The independent Unified Buddhist Church of Vietnam (UBCV), Vietnam’s largest religious community, is a target of fierce persecution. Banned by the government in 1981, its members suffer continuous harassments, arrest and detention. We are particularly concerned about the plight of Thich Quang Do, who was consecrated UBCV Fifth Supreme Patriarch at a clandestine assembly in Vietnam in November 2011. He is currently under house arrest at the Thanh Minh Zen Monastery in Ho Chi Minh City after almost 30 years in detention. Roman Catholics disputing state confiscations of Church property and land have been brutally repressed, as have ethnic minorities in the Northern and Central Highlands (Montagnards, H’mongs) who convert to Protestantism. Repression of peaceful critics, lawyers and human rights defenders: Despite guarantees of freedom of expression in the Constitution, the government has pursued a fierce crack-down on dissidents, lawyers and human rights defenders expressing peaceful criticisms or appealing for democratic reforms. In April 2011, legal expert Cu Huy Ha Vu was sentenced to seven years in prison and three years house arrest on charges of “anti-socialist propaganda” (Article 88 of the Criminal Code) simply for calling for pluralism and criticizing the Prime Minister; in 2010, human rights lawyer Le Cong Dinh, who himself was a strong critic of Article 88, Nguyen Tien Trung, Tran Huynh Duy Thuc and three others received prison sentences from 5 - 16 years for similar appeals for political reform. Suppression of Internet freedom: Vietnam has adopted extensive legislation to curb use of the Internet, including a 2008 regulation on blogs, and restricts the use of social networks such as Facebook. Many bloggers and on-line journalists have been arrested or harassed, and their blogs closed down. We are extremely concerned about the health and security of blogger Nguyen Van Hai, (aka Dieu Cay). He has been detained incommunicado since October 2010 on charges of “propaganda against the Socialist Republic of Vietnam”. His current whereabouts is unknown. Crack-down on demonstrations: Since June 2011, unprecedented demonstrations have taken place in Hanoi and Ho Chi Minh City in protest against a series of Chinese incursions into Vietnamese waters and lands. Organized by young people and students, the protests brought together people from all walks of life, including prominent intellectuals, Communist party and military veterans. Police cracked down heavily on these protests, arresting and assaulting scores of demonstrators. On 28 August, after a meeting with the Chinese Defense Minister in Beijing, Vietnamese Deputy-Minister of Defense Nguyen Chi Vinh, announced: “we will strongly sanction any gatherings or rallies in Vietnam. We will not let this happen again”. Despite this ban, since mid-September, dissidents have continued to hold silent gatherings each Sunday in Hanoi. - Repeal or revise all laws that contravene international human rights standards and norms (e.g. Article 4 of the Constitution, Ordinance 44 etc). We thank you for your support for the respect of human rights and freedom in Vietnam. Government of United States of America. We, the ethnic Nationalities political groups, warmly welcome Your Excellency’s official visit to Union of Burma to promote friendly relations between United States of America and Union of Burma , and to upgrade Burma’s democratic reforms , which is only beginning after half a century under the military dictatorship’s regime. We wish your visit may smooth and success. During your visitation in our country, you will have talks and discussions with government authorities and some legal political parties including National League for Democracy and their leader, Nobel laureate and national icon Daw Aung San Suu Kyi. We, the ethnic nationalities political groups, were winners in the 1990 General Elections. Military juntas did not convene the parliament, and rebuffed almost all our parties. But we unitedly and fearlessly demand for nationalities basic rights, human rights and for democratic rights. We want to propose the following requests as the main items to you. Release all political prisoners, including nationalities political leaders, student leaders and Sangas immediately and unconditionally. Equalities and self-determination for the nationalities, according to the Panglong Agreement charter. In the areas of nationalities, where armed conflicts confronting especially in Kachin, Kayin and Shan areas, women including teenagers and old were raped, villages were burnt down, destroyed and ransacked, looted, confiscated the properties. Villagers were forced to serve as porter and extra brutalities were performed in the fighting areas. All armed conflicts must stop immediately; peace parley, between fighting armed nationalities forces and Burmese authorities must start promptly. Those peace negotiations must be proper, responsible, systematic and transparent by both sides. Our requests were presented to Your Excellency, and through you please convey to your President. Please accept our kind greetings from this remote coastal village. Today we have completed 103 days fighting against the Koodankulam Nuclear Power Project (KKNPP). Although we have been campaigning against this project from its very inception, the recent Fukushima nuclear disaster, the announcement of the KKNPP attaining criticality and the dreadful hot run of the KKNPP ignited the current agitation on August 16, 2011. Your Excellency have been kind enough to listen to the united voices of the fishing community, the Nadar community, the Dalit community, the Muslim community and all other communities of the southern half of Tamil Nadu and pass a resolution in your esteemed Cabinet on September 23, 2011. Your Excellency also took the kind initiative of taking our Struggle Committee to meet the Honorable Prime Minister under the leadership of the Honorable Finance Minister of Tamil Nadu. Here we must bring your kind attention to the fact that the KKNPP work has never been halted as demanded by your Cabinet Resolution. The Government of India constituted an Expert Group “to allay the fears and concerns of the people” and has conducted just two meetings so far. Your Excellency also constituted a State Team to work with the Expert Group. We all had an introductory first session of both the teams on November 8, 2011. We submitted a memorandum to the Expert Group asking for copies of the Environmental Impact Assessment, Site Evaluation Study, Safety Analysis Report and for information on some 50 important topics such as the amount of nuclear waste and its management, liability of Russia, fresh water needs of KKNPP and utilization of Pechiparai dam and Tamirabharani river waters, decommissioning issues and its impact on our sea, seafood, land and water and so on. When we ask for a copy of the Detailed Project Report (DPR), a basic piece of information for any development project, the Central Government accuses us of breaching Indian sovereignty. Instead of giving all the detailed and truthful information to our queries, the Central Government belittles our request by saying that some foreign forces are behind all our efforts. They use this false pretext for not giving any of the basic information to the people of Tamil Nadu. We are not interested in any national security information. We only ask for the information that has a serious impact on our right to life and livelihood.Given this background, we have constituted an Expert Team of our own drawing important scientists, engineers, lawyers, doctors and social activists from all over the country to study all different aspects of the KKNPP project. It is pertinent to note here that a recent post-Fukushima study commissioned by the Russian President Medvedev has identified some twenty-five serious issues with regards to Russian nuclear reactor safety and the overall technology. The 38-page report of the Expert Group has totally ignored our question on liability, and has given no specific or scientific information on nuclear waste, and vague information on the fresh water needs of the KKNPP. The Expert Group has hardly spent a few hours inspecting a project that has taken almost a quarter century to be completed. Moreover, some crucial members of the group have never visited the site. To put it tersely, the Expert Group has come up with an ill-baked and incomplete eyewash report. The Expert Group has not talked to any section of the Tamil public and nor has it tried to allay the fears and concerns of the people. Instead, the Central Government has been spreading canards about us claiming that we are receiving foreign funds, foreign help and guidance. We would like to assure Your Excellency that there is not even an iota of truth in these accusations. The Central Government and their intelligence agencies are working overtime to split the Tamil society by propping up some splinter groups headed by local contractors and discredited Congressmen and create the false impression that there is indeed some support for the KKNPP project. The Central Government and their intelligence agencies are throwing their full weight behind the Department of Atomic Energy and the KKNPP project by influencing the media houses and publishing concocted stories, spreading rumors and canards about the struggle leaders, and employing some Union ministers and Congress party men just to misinform and mislead the Tamil civil society. Despite all these odds, our Tamil people stand united in our singular demand of scrapping down the KKNPP project, safeguarding our lives and livelihood, and protecting our natural resources for our Tamil progeny. 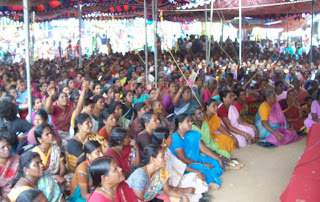 Our struggle is also supported by people from all parts of Tamil Nadu. We are mindful of the fact that our state and country have growing electricity needs and we feel that it can be met by pro-people and pro-Nature methods as Your Excellency pointed out in a statement as soon as you had taken over the reins of power in Tamil Nadu a few months back. Your Excellency, the KKNPP issue and the growing electricity needs of our state and the country need a visionary leadership such as yours. The current national leadership is interested in creating jobs for foreigners, strengthening foreign economies, enhancing profit for foreign corporations, and perpetuating their own personal and their collective gains. We, the people of Tamil Nadu, depend on your kind and effective intervention in this important matter. 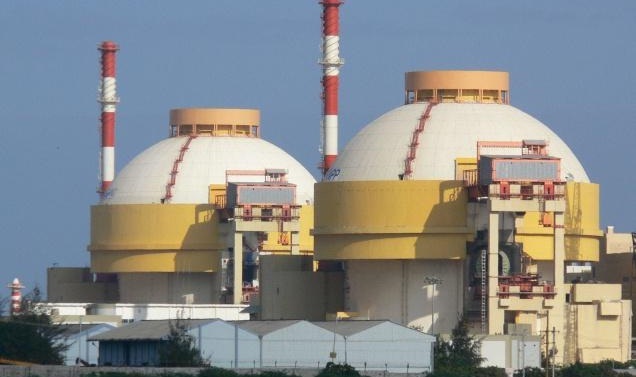 Your Excellency’s leadership qualities and visionary capabilities alone can rescue the Tamil people’s welfare and future from the clutches of the international nuclear industry and solve the country’s electricity needs through sustainable and futuristic manner. Nov. 16, Mumbai: Various PILs against the Lavasa Hillcity project promoted by Hindustan Construction Company came for hearing today before the Bombay High Court bench of Justice Sharad Bobade and Justice Tahiramani. The hearing was critical in the context of the conditional clearance granted by Ministry of Environment and Forest (MoEF) on November 9th 2011. When MoEF informed the court about clearance then the joint petitioners NAPM and other social activists raised to issues of violation and questioned the clearance as illegal and granted under the political pressure and a complete U turn of the Ministry’s own position in past. Advocate Ashish Mehta arguing for petitioner NAPM claimed that the clearance has not taken in consideration report of Expert Committees constituted by MoEF itself that brought out violations of the Environment Protection Act 1986 and Notifications of 1994, 2004 and 2006 and also the recommendations made by the Expert Committee. Lavasa Corporation on the other hand pleaded that the case should be heard by the National Green Tribunal (NGT) and not by High Court. On hearing both the sides and petitioners pray that they would require time to respond to the latest conditional clearance granted by the Ministry as well as the request put forward by Lavasa to refer the case to NGT, it being the right forum for its settlement. The High Court granted four week time and rescheduled the next date of hearing for December 12 after further filing of replies and documents by concerned parties. Till then, High Court’s interim order of December 2010 maintaining status quo at the project site to remain operational until further order. This means the work will remain stopped at the worksite. It also needs to be noted that various cases of illegal transfer of adivasi land to Lavasa in violation of Anti Land Alienation Act, as also transferring of ceiling land and allotment of the reservoir land by Krishna Valley Development Corporation to Lavasa are going on with the appropriate district and other authorities since prima facie fraud and violation have already been established in the case. To: Ms. Julia Gillard, The Hon. Prime Minister of Australia. ACT, Australia. Re: Impending disaster & plight of fishing communities on the Southern coast in India. I read with great distress news that you are urging your Government to overturn a ban on supplying Australian uranium to India. If this news is true, please, please do not do this. The world at large is still struggling to understand the effects and aftermath of several nuclear disasters which have occurred in plants and establishments certified as “very safe”. The one in Fukushima, Japan, a nation of advanced technologies, is still in the news. Recently the Catholic Bishops of Japan (CBCJ) have warned how dangerous and ill-conceived plans for nuclear plants are. The Japan Catholic bishops said on Thursday Nov 10th 2011, that they advocated an immediate end to nuclear power generation. At a press conference at Motoderakoji Cathedral in Sendai City, they launched a document, End Nuclear Energy Now: Coming to terms with the tragic disaster of the Fukushima Daiichi accident. The bishops acknowledged that, if nuclear energy were to be abolished, Japan would be left with an energy deficit, and that the problem of CO2 would still need to be addressed. But they insisted that humans have a responsibility to protect “nature and all life, which are God’s creatures,” and to pass a safe environment on to future generations. India has enough of trouble on this front. The 1983 disaster at Union Carbide in Bhopal is still to be sorted out and people affected are still awaiting compensation, including the several thousand left affected, blinded and maimed. Currently others in India are protesting against building new nuclear plants. The people of a small fishing village – KOODANKULLAM - in south India are in distress and anxiety, fearing they will be displaced and lose their ancestral rights. 20,000 people collected there recently to protest against the nuclear plant. Dear Ms Gillard, please do not sell uranium to India. It will leave India the poorer if you lift that ban on uranium sales. India and the world know that Australia does a lot for India. Please do this one more good thing. Don’t lift the ban on selling uranium to India. It is time that all concerned, especially governments, search for safer means of generating energy. These are available for those with the will to develop alternative energy sources, and so avoid excessive risks to later generations. National Chaplain and Director & AOS South Asia Coordinator. The World Forum of Fisher People (WFFP) Thursday condemned the brutal murder of Sister Valsa John in Pakur district of Jharkhand and demanded that the State administration take immediate action. Thomas Kocherry, special Invitee to the Forum also requested the Prime Minister to intervene to protect the life of the persons like Sr.Valsa John, who are trying to fight for the rights of the tribals in India. Sister Valsa John had been fighting for the rights of the tribals and against their displacement due to mining activities since 1995. “Her killing is a result of the threat posed to the mining mafia,” Thomas Kocherry said. In a statement, the WFFP demanded that the State administration take immediate steps to arrest the culprits and initiate speedy trial. 1. First Prime Minister spoke to the Cardinal Gracious of Mumbai telling him to settle the protesters, which is church sponsored. Cardinal told the PM that he would ally the fears of the people. So the PM has appointed a 15 member committee tp interact with the local people. 2. The Chief Minister of Tamilnadu said that she was with the people who are protesting. And the Tamilnadu assembly passed a resolution to halt the construction of Koodamkulam Nuclear plant till the fears of the people are allayed. So the PM called all the representatives of the CM and protesters to Delhi to have a consultation. It was agreed upon to halt the construction till the fears are allayed. 3. During this time former president of India Abdul Kalam Azad visited Koodamkulam Nuclear Plant (KNP) and said that 100% safety was guaranteed. No body should get frightened of the KNP. It is a gate way to progress. And he asked the GOI to spend 200 Crores of Rupees to have a Hospital. Houses for all and Express High ways. 4. While this process has been going on Narayana Swamy from the PMO’s office says that there is a foreign hand in the protest and GOI has started the enquiry of foreign money involved in the protest movement. · First accusation is church sponsored protest. Even if it is a church sponsored protest PM should not have said of that kind. It has created communal implications. BJP, RSS and Shiva Sena have been accusing the church since then. PM has made this issue communal. It is a criminal act. Before Independence and after we faced such communal violence in India. If any communal violence erupts, PM is responsible for that. It is not a church sponsored protest. The leader of the movement is Dr. Udayakumar. And Hindus, Muslims, Catholics, CSI Christians are involved in the protest. It is 100% a secular movement. It is 100% non violent movement. However some Priests are supporting the protest because their members are the victims of KNP, at present and in the future. · Foreign hands are there is the second accusation. What kind of foreign hand are you talking? Can you explain this? Who is collaborating? Russian collaboration is behind KNP. It has been built by Russian Companies. The Indo-US nuclear deal is an American Collaboration. Here we see foreign hands. But where do we see our foreign hands? What are you talking about? Please Explain very clearly what kind of Foreign hands? 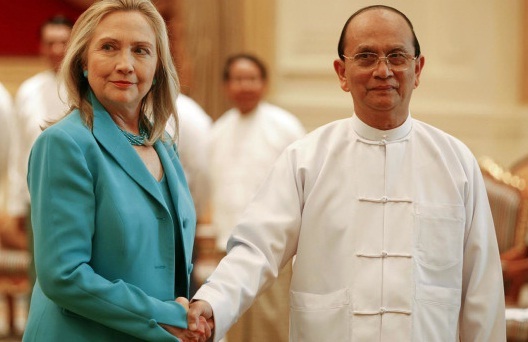 · Third accusation is foreign money is involved. Can any one show the foreign money in the whole of protest. Mainly people are fasting. There is no need of money except water. GOI has started the enquiry to find out foreign funds. Let us wait for their findings. However GOI claims that they have spent 15000 Crores of Rupees. Can you show the detailed audited statements of this expenditure under RTI? If we do that you will say that under 1962 Atomic Energy Act GOI is not bound by that revealing. If anyone among the protesters has violated Income tax law or FCRA, please take action immediately. But Protest will go on. Why 1962 Atomic Energy Act make the expenditure confidential? Why is it not come under RIT? Here is the question of Defense comes and indirect link with Atomic Bomb? a. KNP Is gate way to progress. Whose progress? A few companies and politicians will benefits at the expense of the vast majority, who are victims of KNP. Economic Globalization, Free Market and Privatization is a free movement of capital for making profit by a few at the expense of the vast majority who do not have the basic needs in life. By hook or by crook they make money? There is no question of Justice. Corruption is organically linked with Globalization. Russian Companies are the most corrupt. And India has to pay back their loan with 4% interest without knowing the audited statement of expenditure. So our tax money is used to pay back the corrupt companies? Why GOI is not enquiring into these? b. GOI is saying that there is 100% safety. If this is true in the proposed Liability bill Draft why the companies who are building these do not want to be liable if there is a disaster? How can we believe you when the PM cannot handle the Corrupt Ministers?. Union Carbide also said that it was 100% safe. What happened in Bhopal.? Who is liable? When GOI and MP Government have totally failed in handling these lakhs of Victims, how can we believe your 100% safet? c. 200 Crores package for development now around KNP is a bribe, if it is a gate way to progress and 100% safety. This is biggest contradiction of their own arguments. It is public bribe. Giving and taking bribe is a crime. Why should there be a hospital if 100% safety? Yes there is doubt that some danger are there? Why should there be Express High ways? Is this to shift the victims fast to the better hospitals if the disaster takes place? d. Conclusion. Is Prime Minister serious about the 15 member Committee to allay the fears of the People around Koodamkulam Nuclear Plant? If so the Chairman of the Committee and Narayana Swamy of PMO making statements that the protest is organized by the foreign influence and money. If this is the way PM is going to allay the fears, it will not happen. PMO has started with enquiry. We want to make it very clear this will not work PM. New Delhi, Nov. 2: Parliamentary Standing Committee on Rural Development today started its hearing on the Land Acquisition, Rehabilitation and Resettlement 2011. NAPM and other constituents of Sangharsh today made their presentation before them. The submission was made by Medha Patkar, Dr. Sunilam (Kisan Sangharsh Samiti, MP), Devram Kanera (Narmada Bachao Andolan), Dr. Rupesh Verma (Kisan Sangharsh Samiti, UP), Vimal Bhai (Matu Jan Sangathan, Uttarakhand), Vijayan M J (Sangharsh), Arun Das (Sangharsh Vahini Manch, Bihar) and Madhuresh Kumar (NAPM). The submission lasted for an hour and half and detailed presentation on the political importance of this legislation and its impact on the millions of farmers and nature resource based communities was made. The delegation welcomed the fact that Land Acquisition Act, 1894 was being repealed and after the struggle of social movements across the country now displacement, resettlement and rehabilitation has been included on any plan dealing with the land use change. However, the Bill in its current form is not acceptable to us which legitimises for the first time the profit making motives of the private companies in the name of public purpose. Even though it is being projected as a response to the on-going land conflicts in the country but it will not provide relief and justice to the struggling people and will only further the land conflict. Dr. Sunilam emphasised that till date nearly 10 crore people have been displaced in this country by various projects since independence but where is the data on what has happened to those families. Let the government come out with a white paper on the status of rehabilitation of those displaced till date. He further added that for the first time there is a recognition of the need for R&R then let this cover and provide justice to all those who are still waiting justice. There has to be a retrospective application of the Bill too all those who have not accepted award, compensation or challenged it and where projects are on-going and the R&R has remained incomplete. He further submitted that a large amount of prime agricultural land has been diverted for the industrial purposes if the trend continues then it will impact the food security of the nation and hence there has to be a moratorium on any further acquisitions of any kind of agricultural land. Dr. Rupesh Verma said that land for land has to be basis of any land acquisition till date and there can’t be any compromise on it. In the name of urbanisation if it is not possible (like in case of NCR) then let the government give 50% of the developed plot back to the farmers. If the land is not used in two years then let it be returned back to the farmers and other affected people and the mandate of land reforms be fulfilled rather than it going back to the government land bank. In every project the project affected people have to be given employment so that their status of living is better than what it was before. Vimal Bhai added that the definition of project affected people even though is comprehensive but misses those who continue to suffer after the project has been completed, like those affected due to tunnels in the run of the river project and those living around the reservoirs in Bhakra Nangal, Tehri or Narmada who face numerous health related issues due to water logging and otherwise. Vijayan M J added that there has to be a National Development, Resettlement and Rehabilitation Commission, a statutory body, which will address the concerns of all those displaced and also consider the grievances and challenges to the declared public purpose of the projects. The team also submitted that minimising displacement has to be the key objective and it can achieved by exploring alternative options to the proposals, limiting excess land and ensuring the true public development purposes. The strongly suggested that Highways has to be brought within the purview of this Bill and can’t be left out of it since they are going to cause major havoc and require huge amount of land and the struggle around Ganga and Yamuna Expressway is a testimony to that. 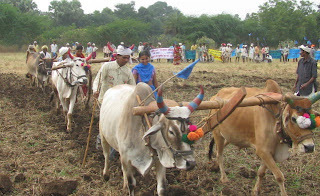 We can no longer continue forcible acquisitions, which is completely undemocratic and any development plan has to be based on the free prior informed consent of the project affected communities and in line with the provisions contained in 243 D (rural areas) and 243 F (urban areas) which emphasises the role of Gram Sabha and Basti Sabha. The precious minerals and other resources attached to the land are being handed over to the corporations there has to be a way to compensate the communities who are the real owners. - The Bill should be titled as 'Development Planning, Resettlement and Rehabilitation Bill' ensuring no forcible acquisition and protecting the rights of the communities over the land and everything attached to it including the mineral, aquatic and forest cover. Any acquisition should be done only in accordance with the democratically developed plans as per the provisions of Art 243 and PESA norms by involvement of Gram Sabha and Basti Sabha. - Public Purpose definition should be limited to core functions of the government performed with the public money and in no case acquisition should be made for the private corporations where they get benefits due to any forcible acquisition of land or any other natural wealth under this act. Any project drawing private profit can't be considered public purpose. We reiterate this and only this can deal with the unjustified inequity in the country today leading to injustice for millions. - Given the low level playing field existing till date between different parties in the process of land acquisition, it is necessary to ensure that even if it is market base purchase of land or other resources by the private parties, including builders, then the state should be duty bound to regulate the market price of resources and ensuring availability of optimum resources of livelihoods for every family especially those belonging to vulnerable section. Thus corporations should also be made liable for the R&R provisions of this bill, which also goes well with the principle of fair play and competitiveness. - Any arbitrary benchmark for the application of R&R provisions should be done away with and every single family directly or indirectly affected by any kind of acquisition should be provided with the resettlement and rehabilitation benefits. - We reject market value for the land approach since neither market value is fully worked out nor that automatically ensures attainment of alternative sources of livelihood especially for the least marketised and monetised community such as Adivasis and Dalits. So, without any ifs and buts appropriate provisions for alternative livelihood or mandatory employment be made for project affected people. - The law must address the claims of those already displaced by various projects and address the historical injustice meted to them in the name of Development. Finally, the team submitted that the hearings by some of the social movement representatives, lawyers, researchers and others in Delhi is not enough and Committee members must hold atleast regional hearings so that the affected people on the ground actually can give their feedback on such an important legislation. The Songkhla Administrative Court fixed 26 October 2011 at 11.00 am at Courtroom No. 2 for the first hearing on the Black Case no. 187,188/2552 in which Mr. Isma-ae Tay, the first plaintiff and Mr. Amizi Manak, the second plaintiff, sue the Royal Thai Army and Ministry of Defence for unlawful detention invoking the Martial Law Act. It is alleged that during the detention, the two plaintiffs and other persons being held in custody were subject to physical abuse and torture. They were forced to give information and confession. After the acquisition of sufficient evidence, the Presiding Judge shall deliver an initial statement. In the hearing, both the plaintiffs and the accused shall have the chance to deliver their oral statement either in verbal and/or written form to the Court. At the end of the first hearing, the Court shall fix the date to deliver the final verdict. The torture incidence took place in January 2008 when Mr. Isma-ae Tay, Mr. Amizi Manak and friends were detained by army officials invoking power under Martial Law. Both of them were university student in Yala at the time and were active in many human rights campaigns. On 4 February 2008, relatives of the victims noticed traces of physical abuse and have filed a habeas corpus case invoking Section 90 of the Criminal Procedure Code demanding release from unlawful detention. The Court then ordered the in charge military officials, under the charge of the two accused, to bring over the detainees to the Court on 5 February 2008 where they will have a chance to present the information, facts, reasons and legal argument to the Court to verify how lawful the detention under their charge had been and how physical abuse and torture had not taken place as alleged. But prior to the hearing, the military officials decided to release the two plaintiffs during nighttime and have failed to appear in the Court as per the court writ. As a result, the Court dismissed the case filed by the first plaintiff, et al, as the two plaintiffs had already been released and there was not matter left to adjudicate. On 21 October 2011, legal representatives of the two plaintiffs have already submitted the plaintiffs’ oral statement prior to the first hearing ascertaining facts affirming that all evidence has been presented in the clear that military officials under the charge of the two accused have committed the offence including detention over the time limit permitted by law, and doctor’s certificate and medical record of the first plaintiff as well as photos of the wounds and other evidence to support the claim of torture. Meanwhile, the two accused have denied the charges, but have failed to provide sufficient evidence, particularly to counter the main allegation that the plaintiffs have been subject to physical abuse and torture in order that they give confession. It can only be construed that the two plaintiffs had been held in custody by the military officials under the charge of the Royal Thai Army and Ministry of Defence and have been inflicted with physical harm during the custody. Apart from presenting the oral argument, permission has been sought to bring over eyewitnesses who have seen the physical wounds sustained by the two plaintiffs during the detention to testify to the Administrative Court. In addition, a set of images and VCDs prepared by the IN SOUTH to illustrate problems arising from the use of special laws shall be presented to the Court and permission has been sought to show the video during the hearing. The case is the first of its kind in which victims of torture who have been detained invoking Martial Law in the Deep South of Thailand have exercised their right through the Court to hold concerned state agencies (Royal Thai Army and Ministry of Defence) accountable for the abuse of officials under their charge in the Deep South as per the Tortious Liability of Officials Act B.E. 2539 (1996). It took immense courage and strength of the two plaintiffs to decide to take on the case to demand justice and remedies from state agencies in charge of the military officials who had committed the offence. It is hoped that the exercise of judicial rights this time shall lead to improvement of the treatment of officials and the enforcement of special laws, which so far has caused much impact to local youth and people. This shall help to uphold rights and liberties of youth and people in the Deep South and the justice process shall be part of an effort to solve problems and restore peace in the Deep South. On 26 October 2011, the Court shall deliver its initial statement which shall shed light of the potential verdict. New Delhi, October 20 : Today is the fourth day of the indefinite demonstration by the people displaced by Damodar Valley Corporation. They came to Delhi with an intention of the indefinite hunger strike, which on request of Medha Patkar and Swami Agnivesh was changed to indefinite demonstration on October 17th. After three days of meeting and delegations to water resources, power and tribal affairs ministry nothing concrete has emerged till day. On day fourth, 11 people from Dhanbad, jamtara, Bardhman and Purulia districts have now decided to go on an indefinite hunger strike from now onwards. They are Chandana Soren, Vimola Hansda, Aziz Ansari, Krishna Soren, Kishore Marandi, Vasudev Malik, Haradhan Hembrum, Haripad Pal, Suresh Thakur, Shambhunath Kishku and Habib Ansari. Ramashray Singh, Adviser, Ghatwar Adivasi Mahasabha said that the DVC oustees are on the brink of starvation anyway and if they have to die then let us die fighting for or rights. Government has nothing to give us, but promises. But don’t they know, the hungry need jobs and food not their promises. It is for this reason that pressing for our demands 11 of us have decided to go on an indefinite hunger strike. 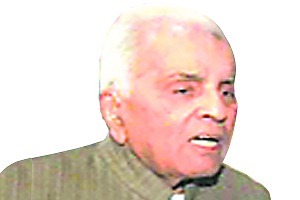 Justice (retd) Rajinder Sachar said that people of Damodar valley gave their land for development of the country just after independence but it is extremely unfortunate that they are till date having to fight for their own rights for a dignified livelihood. He felt saddened that till date it is mostly adivasis, dalits and minorities who are most neglected and victims of displacement and have to struggle hard to get their legal entitlements of resettlement and rehabilitation. Kuldip Nayar shared similar concerns and said that more or less the situation is same of the narmada, Bhakra, Damodar and other river valley projects in the country today. If we consider these as the development projects then where is development for these people ? Swami Agnivesh, Ali Anwar, Prof. Amarnath Jha, Manimala too addressed the press conference and also lent support to the movement. In coming days movement will target the Ministry of Power and also open struggle fronts against DVC in West Bengal and Jharkhand. The struggle will go on until and unless the demands are met. 2. Landless families and others dependent on the land should also be given jobs and adequate compensation for a dignified livelihood. 3. Establishing panels for the recruitment by DVC is illegal as established by even Courts since many of the displaced families are not covered in this. 4. Corruption in the allotment of jobs to non-displaced people should be investigated and guilty officers and people be punished. 5. Right for gainful employment is applicable to next generation of the displaced people also and not limited to the first generation of affected people. 6. Ghatwar Community must be included again in the Scheduled Tribes List, as it was till 1952. 7. Lastly, Land Acquisition, Resettlement and Rehabilitation Bill 2011 must be applied retrospectively so that those displaced earlier can also get the same R&R entitlements. If you are mediating with the Prime Minister regarding the Peoples Struggles against the Koodamkulam Nuclear Plant, the following facts will help you. 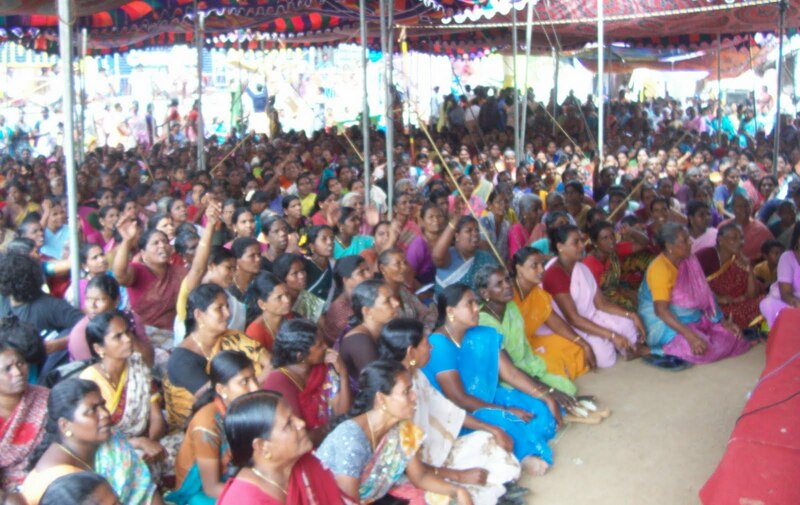 1.The fisher people protested against the Koodamkulam Nuclear Plant in 1989 under the aegis of Kannyakumari March. The police opened fire upon the fisher people and many got wounded and Mr. Jesuretinam lost his leg and he is permanently disabled. The police filed against the fisher people and the case went on for 6 years and finally the case was dismissed. 3. The National Alliance of Peoples Movements (NAPM) also protested against KNP many times but the GOI went ahead with the construction of KNP. 4. It was in this context Pukushima Incident took place in Japan. This has created protest all over the World against Nuclear Plants. 5. Germany decided to close down all the Nuclear Plants in Germany by 2025. People are moving out from the areas of Nuclear Plants `in Germany. 6. Vatican has constructed Solar Energy Plants in Vatican with the help of Germany instead of Nuclear Plants. 7. GOI cannot give any safety when they totally failed in BHOPAL GAS TRAGEDY. Nobody in India is going to believe the promises of Safety by the GOI. 8. What safety GOI can give when KNP is dumping hot water with radiation content to the Sea? Who will compensate the fisher people in Tuticorin, Kannyakumari and Trivandrum? 9. Where will KNP dump the waste with Radiation Content? 10. Russia is not taking any liability if any disaster happens with KNP. 11. This is a new technology by the Russians. They are experimenting with it. Nobody is sure about the safety? 12.If any Disaster happens, who is liable? Prime Minister Manmohan Singh? 13. Mamatha Banerjee, CM of West Bengal Cancelled Haripur Nuclear Plant all by herself? Why can't Tamilnadu Assembly and the CM and People reject KNP? Why Prime Minister is pushing KNP upon Tamilnadu? This is a violation FEDERAL SYSTEM of India. It is an open violation of Indian Constitution. 14. In Jaithapur fisher people are protesting aganist the Nuclear Plant. 15. Why Can't GOI make Solar Energy and Wind energy? . If the same amount they are investing on Nuclear Plants, be made on Solar and Wind energy creation, we can have Wind and Solar Energy in India. 16. If the present transmission of electricity is converted scientifically we can save 20-30 % electricity of present production. The maximum Nuclear Energy GOI is envisaging is only 20%. 17. In the light of these the People of Tamilnadu do not want KNP. Please stop talking about safety. On 13th Dec.2010 HT Mumbai carried its headlines ‘Hunger still killing children in our city’ to which MPJ reacted with shock and sad news& immediately issued a press note for the same.The report showed a dismal &grave situation of city slums of Rafiq Nagar Govandi where 16children had died since April 2010 due to malnutrition. According to our constitution of India Article 47 states that ‘The State shall regard the raising of the level of nutrition and the standard of living of its people and the improvement of public health as among its primary duties’. The concerns on the present situation of child malnutrition should be seen in the definitional context of Right to Food and Freedom from Hunger described by the relevant UN Conventions to which we are a signatories. Article 24 of United Nations Convention on the Rights of the Child (1989) clearly describes the children’s right to nutrition. Finding it a core objective for eradicating poverty& hunger from our society, MPJ took the initiative of conducting a fact finding report for Rafiq Nagar Govandi slum. MPJ fact finding team visited RafiqNagar on 14&15 Dec 2010 & presented the fact finding report hereby. Syed Shafi Shaikh from Mira Road. 16 children died since last 8 months due to malnutrition as published in HT dated 13th December 2010.There are 600 houses with a 3400app.population.The details of 9 families including the death of children by malnutrition and various stages of malnutrition as found in MPJ Survey are recorded in appendix. Population: 3400 approx. people 90% of population belong to Muslim Minorities and hails from UP, Bihar, Maharashtra and Madras. Religious Sanctity: Masjid named Bab-e-Rehmat situated at adjacent to ground zero RafiqNagar Govandi Mumbai. Occupation: Mostly unorganized laborers working on daily basis as. drivers,cleaners and mostly ragpickers who work in damping ground on their own. Social organizations present:- Apnalaya Govandi Unit,Anganwadi&social workers. 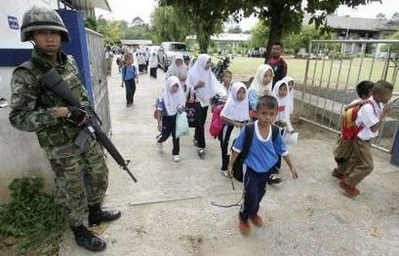 Majority of population is illiterate Muslim Minority,no one or hardly one child goes school from a family. Education awareness and significance is nil. Surrounding environment is not study friendly. During evening, it becomes foggy and unclear to see due to the emission of gaseous from dumping ground. PHC: This slums have only one Primary health centre (PHC) that too 3km Away from their homes they can’t afford to travel.The very health post is inadequate with staff & medical supplies to cope up such a large Population. Water: Lack of clean& safe drinking water with no direct water Connection & tapes from BMC,they do provides drinking water in alternate two or three days freely which is not enough for a family of five to surive. This Portable water is fetched through tankers and stored in sintex tanks that too provided by local MLA.Water for usage is purchased from private distributors by paying Rs. 40 per drum and drinking water Rs 20 per Gallon. Housing: The infra of hosing in this slum is very shabby and weak made up of thin plastic cover and bamboo sticks which cannot give any protection from chilled winter & Mumbai heavy Rains. Sanitation:- No public toilet for 600 families due to this women& children suffer the most.As a result the area has become more unhygienic. Anganwadi:- Poor infra with unhygienic condition.It has inadequate staff according to its population,ICDS prog.failed to cope up the grave situation arised there. Electricity: Rs 120 per month for a tubelight and a fan connection owner of room. But nobody has hardly organized any visit or has hold any meeting till date in the deprived people’s area. Occupation: An unorganized laborer earns Rs 50 per day on daily basis and earns beard and butter for her family of 5 children. Husband has left her and does not share any financial responsibility. She has no assistance from anywhere. Q: Why does not send children to school? A: Local Municipal school denied admission.since her 7yr old daughter’s hand does not touch her ear. Also she lost the birth certificate and unable to produce it. 3 Mr Ramzaan Ali Shaikh aged 4 yrs old. 4 Ms Jasmeen aged 3 yrs old. Looks very weak because of lack of food a clear case of malnourishment. Family Livelihood: Husband works at dumping ground carrying the garbage truck. In hand, 3000-1220 = Rs. 1780,On this meager sum Asma has run her house a month feeding a family of five. She was asked whether her family received any Govt assistance or shcemes. Q: Why didn’t she visit the hospital or medical dispensary nearby? A: To this Mrs Asma Begum replied, the nearest dispensary is 3km distant and she cannot even afford to bear the cost of travel also she too weak to travel by foot. Q: Why she didn’t send her children to school? A: To this she said local Municipal school denied admission on the ground that the hand of the intended student does not touch his/her ear. Also she lack to produce birth certificate as mostly children are born in home. Other two brothers and 1 sister are in family. Wt. at the time of death: less than avg. wt. Livelihood: Husband work in a tailoring shop on daily basis,succeed to get work some day and some day not. Ration card: Do possess, but not yet received any ration on the ration through PDS. 1st Rukhsar aged 4yrs old, weighs less than avg. wt.,Falls in Grade 2 of malnutrition. Occupation: Unorganized labour,Work in construction on daily basis.If succeed to get work, earn Rs 200 per day. Livelihood: Husband is Unorganised labour, works on construction site and earn Rs 200 per day on daily basis if get work. 3rd Baby Firdous, 6 month old, weighs less than average, falls in Grade 3 of malnutrition. The source of all pollution is waste disposal damping ground. This health hazardous environment gives birth to diseases like TB, Asthma, and skin diseases for the inhabitants. The present damping ground is spread in 110 hectors of land. Annually approximately 145000 ton of polluted and untreated waste is dumped here. A huge structure equivalent to 7 storey building has set up here as a result of dumping since 1927. As per affidavit filed in the Bombay High Court, the BMC was to install a garbage recycle unit within a year. Even the police has promised to set up a chowky outside Deonar damping ground within a year. Both promises were made 11 years ago, but yet to be fulfilled. BMC should identify new site for dumping the waste. The present dumping ground should be surrounded by greeneries. Though Municipal Corporation has demarcated reservation “City Park” in its DP Plan and near the said dumping ground. “City Park” construction should be begun immediately. This demand should be conveyed to Government by public participation & Representatives from all walks of Life. BMC’s Department of Health should ensure adequate amount of continuous supply of basic amenities viz water, food and medicinal and hospital facilities for all the citizens and special attention to the underprivileged and the backward sections of the society. To provide water, BMC should lay new pipelines connection on urgent basis to Rafiq Nagar slum. For better health care of the expected mothers and the children, the health facilities like mobile van and the health post should be installed. Health post employee/volunteer should have representation from the habitants of the infected area (dumping ground) for better health awareness. On PDS:-Antyodaya Anna Yojna(AAY) Card should be allotted to the people of Rafiq Nagar slum on urgent basis, so that the weaker sections of the society gets their due ration. Government should ensure that BPL Card holders are being provided the promised share of food through PDS. ICDS prog. should be implemented with force& proper monitoring.Officials who fails to implement the Schemes should be held responsible& punished and prosecuted according to Court of law. The information gathered by the health post be shared with the ICDS officers so that ICDS officers may utilize the information and the statistics gathered for the benefit of the expected mothers and child. The inhabitants of the affected area be appointed as Anganwadi sevika and Anganwadi helpers for proper health awareness and care.According to the population Rafiq Nagar needs total four Anganwadi(existing two) with good infra& proper hygienic conditions. NGO’s working in affected areas be empowered with government schemes and incentives as well as such NGO should be utilized for the successful implementation of government schemes through proper information and guidance. Health camps and workshops be immediately organized in the affected areas for the awareness of health, child& maternal care. For proper sanitation BMC needs to build new toilets for Rafiq Nagar slum. Unemployed Urban people be guaranteed employment for 200 days as similar to NREGA for the Rural unemployed people. Government should ensure that RTE is implemented in each and every nook and corner of Urban slums in cities.As found in the recent survey, the children are denied admissions to the municipal school because their hands do not touch their ear due to lack of food (malnutrition) or their parents could not produce birth certificate. 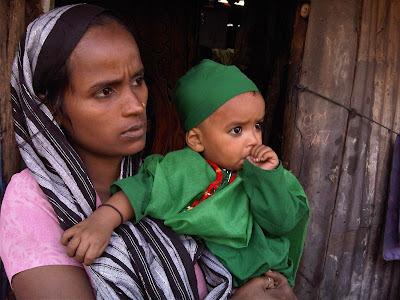 People living in Rafiq Nagar belongs to Muslim Minority. According to Sacchar committee report Muslim Minority should get package of Rehabilitation to Wakf land. Care should be taken that this minority groups get empowered socially& economically according to the report. Child- malnutrition is a tragedy of consequence that emerges out of the lack of access to sufficient amount of food in terms of quantity and nutritional quality faced at various stages of childhood, i.e. food and nutrition security in the maternal stage, exclusive breastfeeding after birth till age of two, and infant-young child feeding. We have a proportion of malnourish children in entire country and only 11.9% receives access to ICDS scheme which is very strange. An immediate and urgent attention should be given to the genuine cases of malnutrition at RafiqNagar area as witnessed 16 deaths in last 8 months and the 248 no. of children in various Grade of malnutrition. Immediate action should be taken. Admissions to children are being denied in municipal schools on certain grounds as found in the present survey which is contempt of court and law of RTE Act. Despite 30 ration cards being distributed to the unorganized labour, not a single BPL Holder is being supplied any ration through PDS scheme as found in the survey, and the 16 deaths and the below average weight of the 248 nos. of children is clear evidence of malnutrition as a result of non functioning of BMC and the corruption of PDS Shops in the nearby area of RafiqNagar. This survey concludes with an urge to the State government and concerned BMC agencies to provide all the necessary basic facilities viz health, food & education at the earliest. These amenities include fulfillment by means of mobile van, ICDS and other basic schemes (Anganwadi, AnnapurnaYojna etc) to the children, expected mothers and all the deserving below poverty line BPL citizens residing in Rafiq Nagar Area and other surroundings of the dumping ground like Nirankari Nagar, Sanjay Nagar, and kamla Raman Nagar should also be attended. India had a resolution in the name of Millennium Development Goal(MDG) that by 2015 we will reduce our hunger& poverty level to minimal. To achieve our goal& tackle this mammoth task Govt &Local bodies should have a child centric approach, for which there is a critical need, should place all the above suggestions & Recommendations in the context of children and their nutritional food security. The Asian Human Rights Commission today welcomed and strongly endorsed a call by a United Nations expert for the amendment of Thailand's criminal law so that it cannot be used to silence legitimate public debate. The UN Special Rapporteur on freedom of expression, Frank La Rue, on Monday called on Thailand to make changes to the law, describing it as "vague and overly broad", and containing "harsh criminal sanctions are neither necessary nor proportionate to protect the monarchy or national security". The AHRC welcomed the rapporteur's remarks as timely and highly important for the recently elected government of Thailand. "The AHRC has for some years been working on freedom of expression issues in Thailand, and we can say from our experience that the rapporteur is correct both in his analysis of how the criminal law there is being grossly misused, and its consequences," Wong Kai Shing, director of the Hong Kong-based regional human rights group, said. "The new government simply cannot afford to ignore the issue of lese-majesty and so-called computer crimes," Wong said. "We join the rapporteur in his call for wide-ranging consultations on how to amend the law so that it is not used in order to violate fundamental rights to freedom of expression to which Thailand has voluntarily committed itself in international law," he added. The full text of the press statement from the UN expert follows. The UN expert's statement came on the same day that one of hundreds of persons who in recent times have been charged with criminal offences for having defamed the monarchy pleaded guilty to the offence. Joe Gordon, an American citizen born in Thailand, had said that he would fight the case, but after 139 days of detention without bail he changed his plea to guilty on Monday. "Naturally, almost anybody who is facing the risk of spending years in jail by attempting to fight charges of lese-majesty will reconsider his plea in the hope of getting clemency," Wong observed about the case. "Only accused persons who are most strongly committed to the principles of free speech that they are prepared to be imprisoned for a long time will consider doing any different," he remarked. "As Gordon has committed no offence in fact, he ought rather to be released from detention at once," Wong added. Details of the case are available on the independent news Prachatai website: http://prachatai.com/english/node/2826. The Prachatai webmaster, Chiranuch Premchaiporn, is herself facing charges under the Penal Code and Computer Crimes Act. 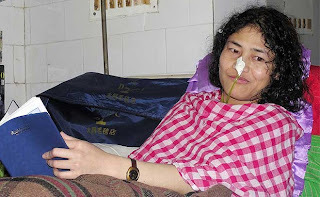 The AHRC has set up a special campaign page on her case, which has recently been postponed until next February: http://www.humanrights.asia/campaigns/chiranuch-prachatai. The Special Rapporteur on freedom of expression in 2010 together with another UN expert sent "a letter of allegation" concerning the case of Chiranuch to the government of Thailand. Replies to the letter from the government failed to address the basic issue of the non-compliance of domestic law with international human rights standards. The authority from the ruling Burmese government, the Union Solidarity and Development Party (USDP), has recently organized a committee in Mon State to facilitate peace talks with the New Mon State Party (NMSP). While genuine political negotiations or peace talks are important to end the six decade-long ethnic conflicts in Burma, a lasting solution cannot be achieved by a peace process that excludes any ethnic nationalities of Burma. At this time, the USDP in Mon State is planning to hold peace talks with the NMSP, while the USDP’s troops are launching military offensives against other ethnic parties such as the Kachin Independence Organization (KIO), Shan State Army-North, and the Karen National Union (KNU). If the USDP is genuinely interested in solving political and ethnic problems in Burma, it must declare a nationwide cease-fire and negotiate peace talks with the United Nationalities Federal Council (UNFC) without any hesitation. Clearly, the plan for holding peace talks with the NMSP is merely the mission of “Divide-and-Rule”, which has been applied by successive governments in order to rule the ethnic people of Burma. Therefore, we urge the NMSP to reject any peace negotiations with the government unless all members of the UNFC are involved. The NMSP, as well as other former cease-fire parties, should learn their lessons from the cease-fire talks with the government, SPDC/SLORC, in the 1990s. The SPDC/SLORC applied its divide-and-rule policy and negotiated peace talks with individual ethnic groups; each group was treated differently or was given different incentives. By doing so, the SPDC/SLORC created misunderstanding, distrust, and isolation among the ethnic groups. As a result, for nearly twenty years, cease-fire ethnic parties were not able to meet or work together for a common goal. This history should not repeat itself. The USDP, just like the military regime (SPDC/SLORC), has no intention to find peaceful solutions to Burma’s ethnic conflicts or to recognize the rights of ethnic people. 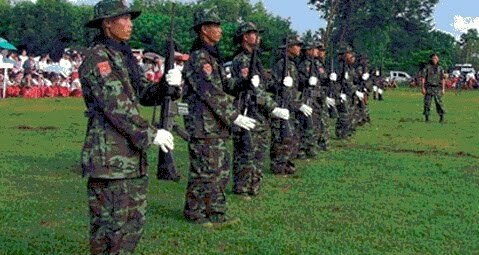 The USDP has launched military offensives against ethnic armies and committed human rights violations in ethnic areas since it came to power. All the members of the UNFC should stand firmly by their common defense policy and political goals and work in solidarity to realize the rights of ethnic nationalities in Burma.